Though headaches can result from many conditions, research has revealed that many headaches can be traced to the area of cervical vertebrae or the spinal bones of the neck. Because the neck is extremely mobile, there is constant danger of displacement of one or more of these vertebrae, which may compress and irritate the cervical nerves. Intermediate causes of headache include: digestive, constipation, kidney and heart problems; eye problems, chiefly eye strain; infected tonsils; nerve pressure from spinal conditions involving cervical and other areas of the structural system; and sometimes, though very rare, brain problems. In women, disorders of the endocrine system are often the cause of headaches. Although popping a pill may seem to be an easy answer to headache pain, it is not. It merely masks the symptom, PAIN; the underlying problem remains. As you become immune to a pain drug, you will require higher doses, which will be less and less effective at stopping the pain. If you suffer with headaches, the best thing you can do is seek professional help by calling our office to schedule an immediate Chiropractic Consultation. There is absolutely no reason for you to suffer for even one more day. Even if you have suffered for years, and visited many types of health specialists without relief, our clinic can offer the solution that you have been looking for. Our doctor has examined and successful treated numerous headaches. This is the most common type of headache. It is caused by muscle strain, or contraction. The pain is usually located on the forehead or the back of the headand neck. The pain is usually described as a dull ache, or a bardlike sensation surrounding your head as if you were wearing a tight bathing cap. Usually, these headaches begin gradually and then last from a few hours to several weeks. Factors that may trigger them include spinal subluxations, stress, diet, fatigue, jaw problems, and poor posture. Migraine headache is a general term and may take many forms. With a common migraine, the headache pain occurs when the blood vessels of the head dilate (expand) and press on sensitive nerve endings. Conditions that may trigger migraine headaches include spinal subluxations, stress, certain foods, fatigue, and the menstrual cycle. Another type of migraine headache is known as a classic migraine. These headaches are often preceded by an “aura”(unusual visual sensations, such as blotches or sparkles) or by sensations of weakness, numbness, or tingling. The victim may also experience nausea, vomiting, cold hands and feet, and a feeling of soreness or exhaustion afterward. Though these headaches are just as severe as the common migraine, they generally do not last as long (24 hours or less). Cluster headaches are sometimes classified as migraines because the pain is caused by dilation of the blood vessels. The name “cluster” describes the way the headaches come in distinct clustered episodes. In other words, you may have a bout of headaches for a week or two and then not experience them again for some time. Attacks usually last 15 to 30 minutes and occur in violent, punishing repetition. 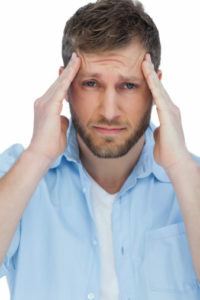 More men than women suffer from these headaches, and most sufferers are over 40 years old. Alcohol is a common trigger. To list and describe all the many types of headaches would fill an entire book. Some other types of headaches include those due to cervical or neck aches, dental problems, eye disorders, allergies, and sinuses. Two very serious, though much less common, causes of headaches are brain tumors and inflammation of the membranes covering the brain. This is why it is very important to have a thorough examination to determine the type and source of headache pain. A headache can be serious. Before you get to the point of regular pain or worse, schedule a complimentary consultation with our qualified chiropractic doctor today! Denver Chiropractor is conveniently located in Denver, Colorado near I-25 & S. Bellaire St.
Should You See a Chiropractor For Your Back Pain?